Kathleen Glackin, LV 09-11, will serve as our next director effective July 13, 2015. She has been a member of the LV staff as recruitment coordinator since July 2013. General Councilor Brother Timothy Coldwell, FSC, announced the appointment of Glackin, which came after a two-month search process. 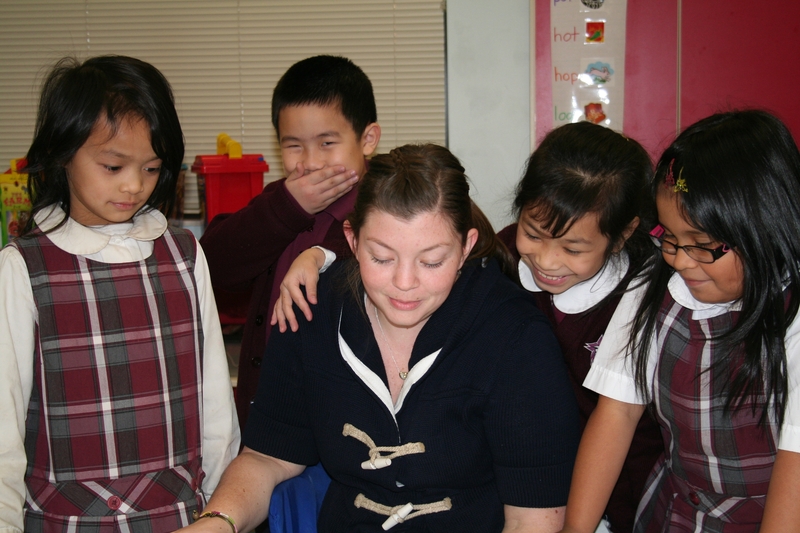 Kathleen served as a Lasallian Volunteer from 2009-2011 in Memphis, Tennessee, at De La Salle Elementary at Blessed Sacrament. After completing her two years of service, she continued to volunteer at De La Salle as she took on the role of assistant campus minister for the Diocese of Memphis. Kathleen during her service at De La Salle at Blessed Sacrament. 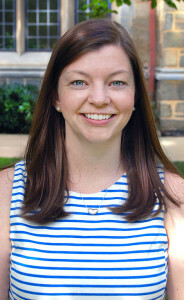 Glackin, a Philadelphia native, has been involved in service since high school, and she received a dual degree in theology and communications from Loyola University of Chicago. 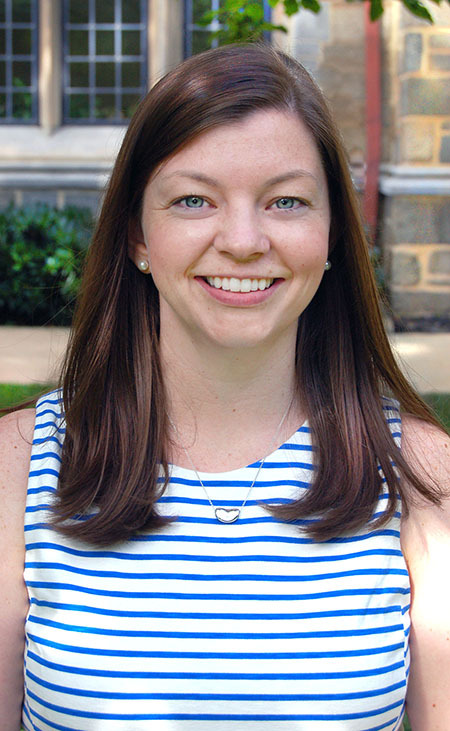 She takes over leadership of Lasallian Volunteers as it enters its 27th service year with a 10-day orientation program at Lewis University in Romeoville, Illinois, that begins July 21. Congratulations on your appointment as director. I remember you well from the “hot chocolate” run in Chicago last year and still wear the t-shirts. I currently cycle 20 miles a day, except for a brief hiatus for a heart catheterization on 8/3 when two stents were installed. Since I’ve been back on the bike I don’t get the chest pains that I used to get climbing hills. Honneur a toi, glorieux de la Salle. Vive Jesus dans nos coeurs! Also remember Brother Ed and hope he is still doing well. He is truly an inspiration and epitomizes the spirit of the founder. My regards to him if you talk to him.